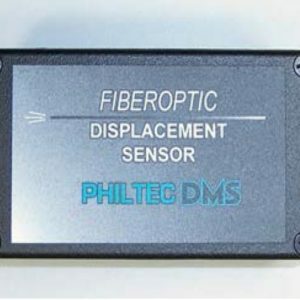 These sensors provide a linear distance output with RS232 or USB communication. Dynamic light signals reflected from target surfaces are converted to distances by comparing the sensor signals to gap calibration tables stored on-board the sensor. 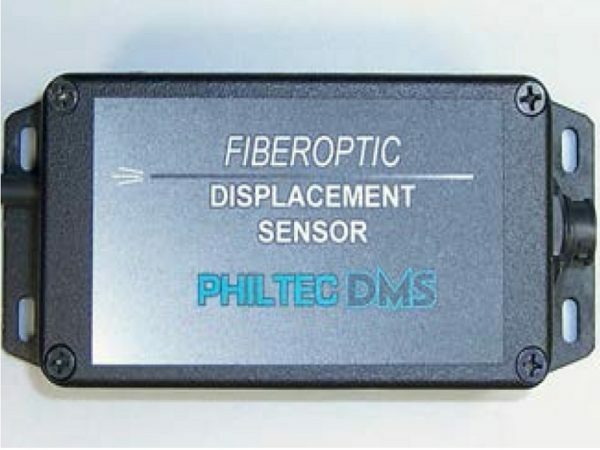 The digital sensors have the added simplicity of providing a linear output for the full operating range of the sensors. DMS Sensor – RS232 Outputs directly to PC/PLC with a build on LCD display. Max output rate of 5208 samples/second with a possible max two channels. muDMS Sensor – Smallest possible sensor with USB output directly to PC/PLC and a max output rate of 16 000 samples/second. 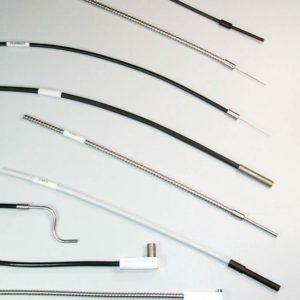 √ √ 2B Connects sensor system with two inline connectors. Not available for all models. 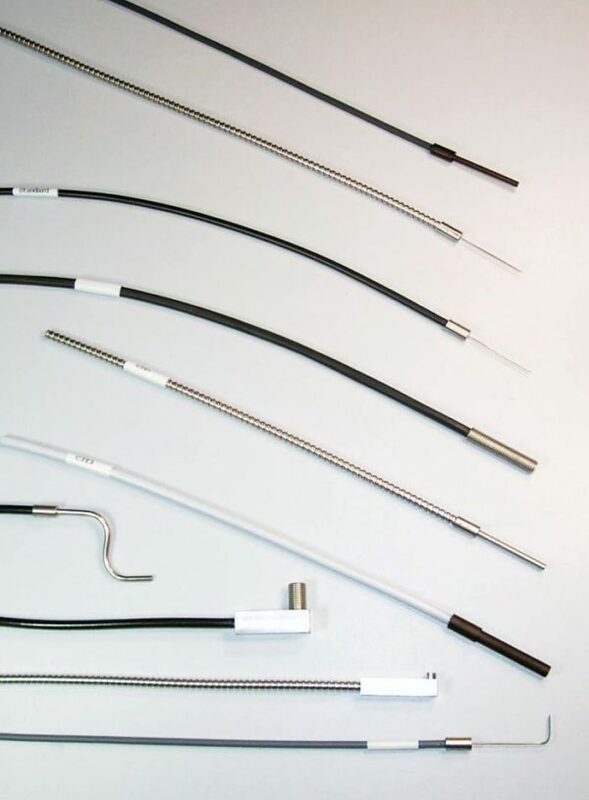 √ √ — Standard jacket: PVC monocoil -PVC over a steel helical winding. semi-crush-proof, liquid-tight, not autoclavable or MRI compatible. Good to 105C. √ √ C1 Jacket: stainless steel interlock, crush proof, not liquid tight. good to 850c. √ √ C4 Jacket: corrugated – all plastic. semi-crush-proof, liquid-tight, light-weight, mri compatible. Good to 85C. √ √ C5 Jacket: ptfe over stainless steel interlok – vapor Barrier, liquid-tight, crush-proof. good to 260c. √ √ C51 Jacket: ss interlok over ptfe – vapor Barrier, liquid-tight, crush-proof, poor flexibility, good to 260c. √ √ C6 Jacket: PVC over nylon wrap – semi-crush-proof, liquid-tight, emf compatible. good to 105c. √ √ C7 Jacket: ptfe tubing – autoclavable, MRI & EMF compatible, vapor barrier, liquid-tight. good to 260c. √ √ C8 Jacket: pvc – polyvinyl chloride – very flexible, liquid-tight, emf & mri compatible, not autoclavable, not crush-proof. good to 105c. √ √ C9 Jacket: annealed (semi-rigid) stainless steel tubing. liquid tight. good to 850c. √ √ C10 Jacket: silicone over ss interlok sheathing. liquid-tight, crush-proof. good to 200c. √ √ C11 Jacket: polyolefin shrink tubing – thin wall moisture/vapor Barrier, not crush-proof, poor flexibility. good TO 150C. √ √ T8 Tip: high temperature, 350°c max. √ √ T9 Tip: high temperature, 480°c max.